while supplies last, act fast and get yours today at Mouthsense. Long lasting eye make-up products that don't wash off with swimming, sweat or exercise! 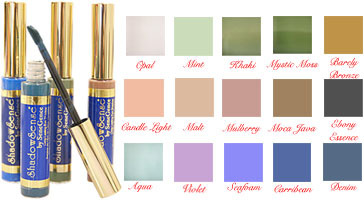 Lipsense Liquidators is a service oriented towards Lipsense dealers. They offer a fair market value price to buy out inventories of Lipsense. Lipsense Liquidators is fast and safe, sending payment via Paypal, the service is secure and reliable. 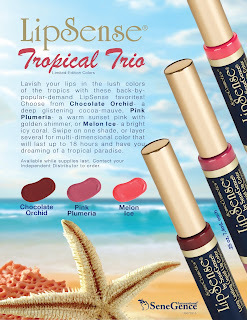 Lipsense, Tropical Colors Warm Up the Summer's Lipsense Shop Now at MrsMay! Hot new tropical shades are on the summer palate. Buy yours at MrsMay. 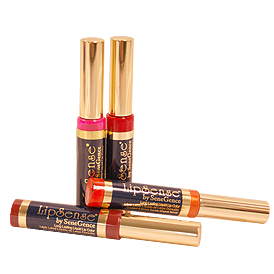 All Lipsense products are made in the USA by Senegence.